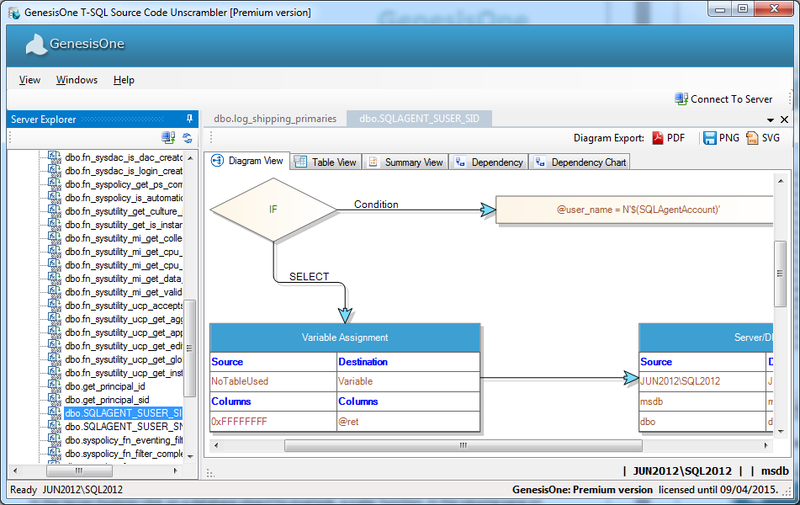 GenesisOne T-SQL Source Code Unscrambler™ is a complete database analysis and documentation tool. We've worked with our customers for years to create a system that most people can learn in minutes. When you do need help, our support team is a click or a phone call away. The trial version is fully functional with the only limitation being on exports and printing. Choose the target server and enter the user name and password to connect. 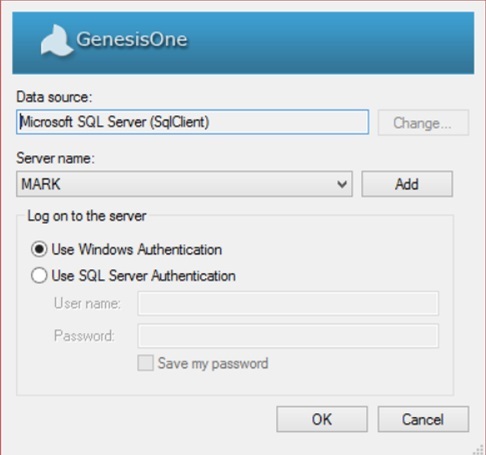 The GenesisOne tool can use SQL Server Authentication or Windows Authentication to connect. If you want to run our demo without connecting to your server, click the demo icon at the bottom of right corner and you can view the documentation generated using the Microsoft AdventureWorks sample database. 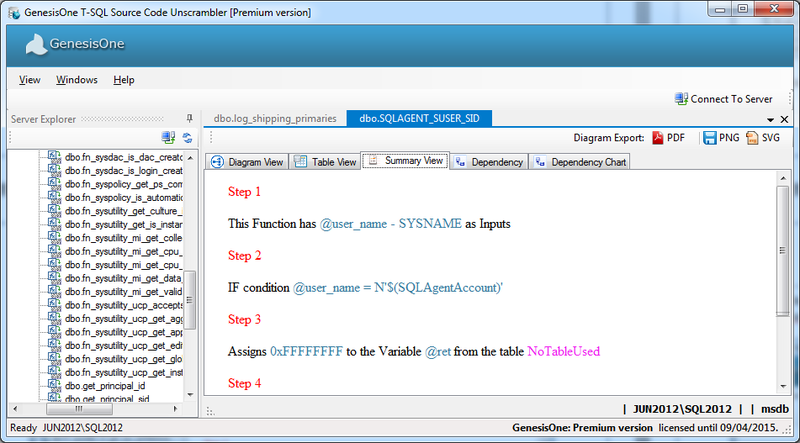 Using this feature, user is able to add server to GenesisOne T-SQL Source Code Unscrambler. This screen shows an icon to purchase a serial key to unlock the trial version. 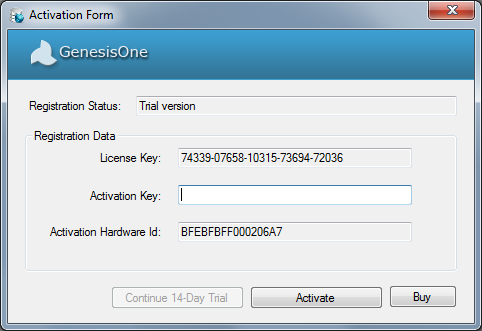 Users can purchase a serial key from GenesisOne website and enter that key in serial key field. Once the serial key is validated it shows that you have successfully activated your account and redirects you to the tool home page. 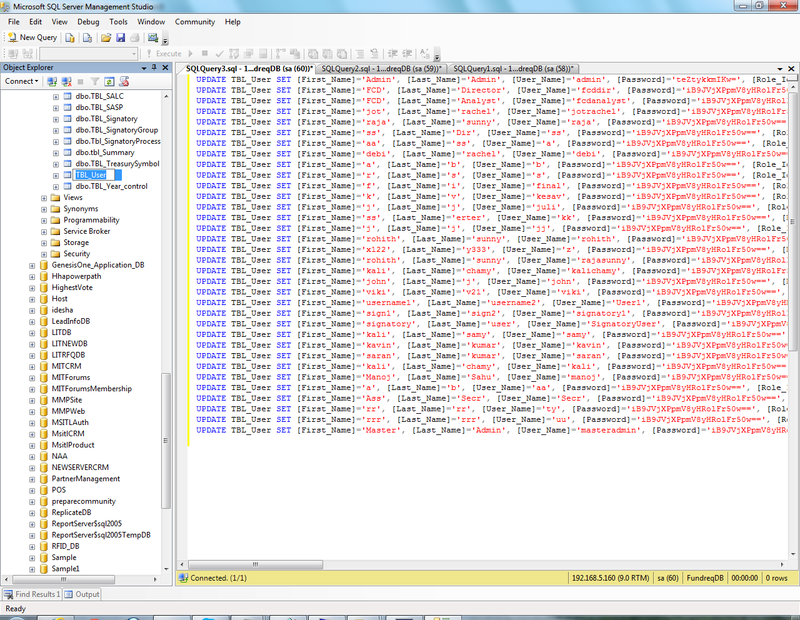 The left panel has a section to explore database objects, listing all the databases on the target SQL Server. Expand the database tree node to view objects such as Stored Procedures, Tables, Schemas etc. In the right panel, the object details section displays the selected object details. There is also an option to change the View mode and to Export and Download the resulting documentation. 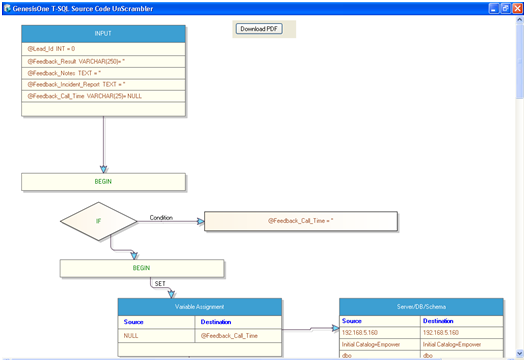 This screen shows the object and functional details of any stored procedure in a graphical flow chart view. Object details of the Stored Procedure shows the input objects, source and designation columns, related tables, joins and conditions, etc., in a flow chart diagram format. Table view shows the sequence and flow of data in a tabular format. Summary view provides a step-by-step verbal explanation of what is being done in the code. The Dependency View shows all the low-level detail of all objects referenced in the code, all the way down to the column level. 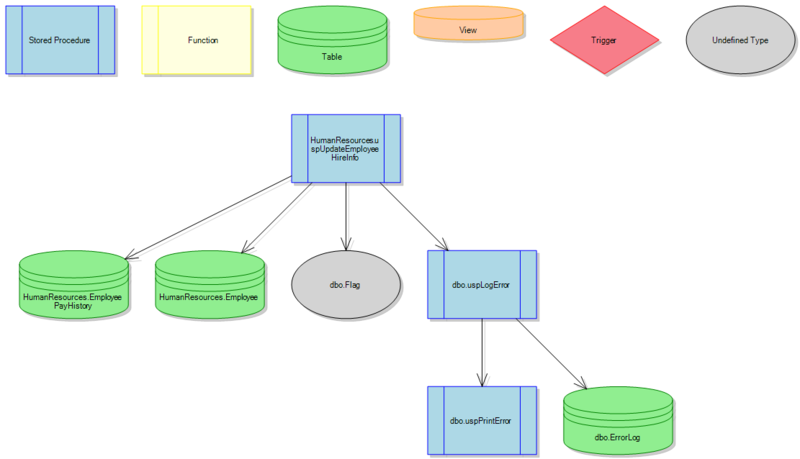 Database graphical view shows high-level object dependencies and indicates whether or not the code is atomic or calls other code objects. 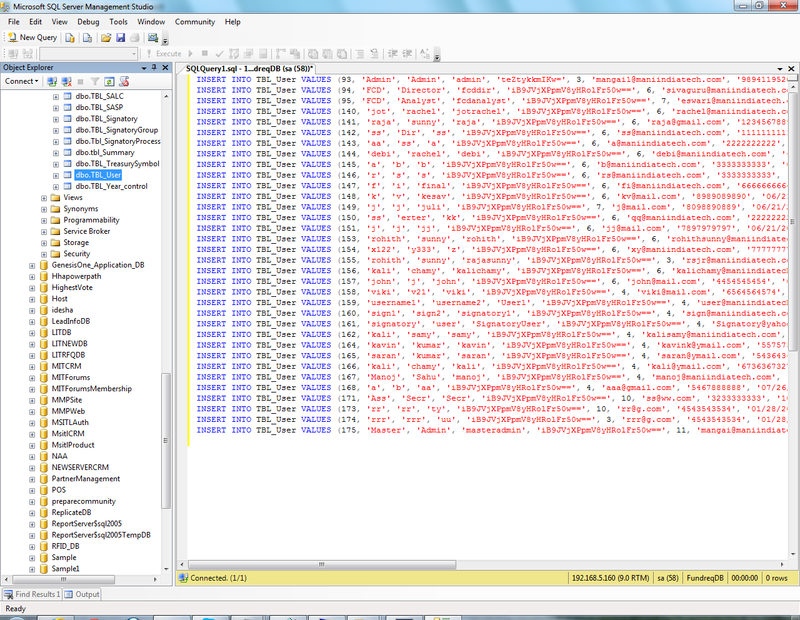 User is able to export the SQL Diagram Document as PDF, PNG and SVG File, whatever format they may need. 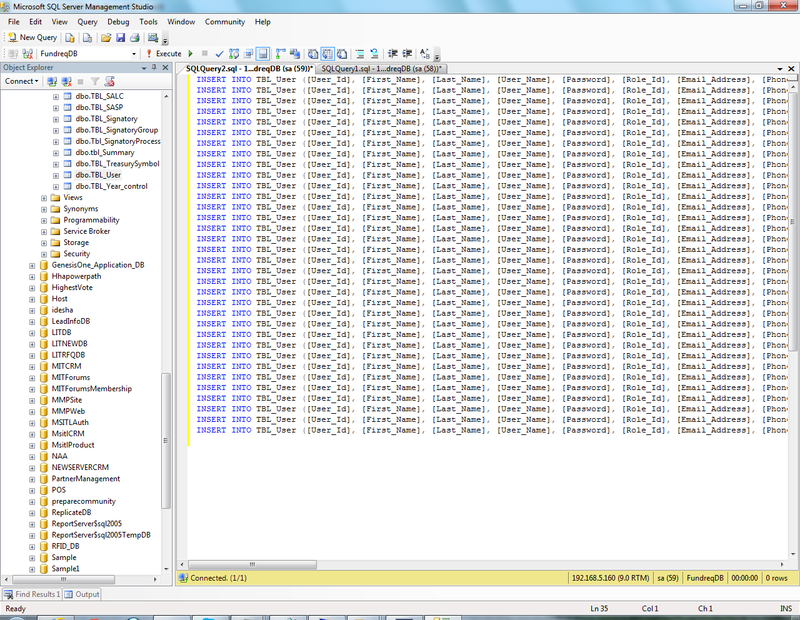 Limitations applied for Trial version, user can download 5 objects per each Stored Procedure. The licensed version has no limitations. 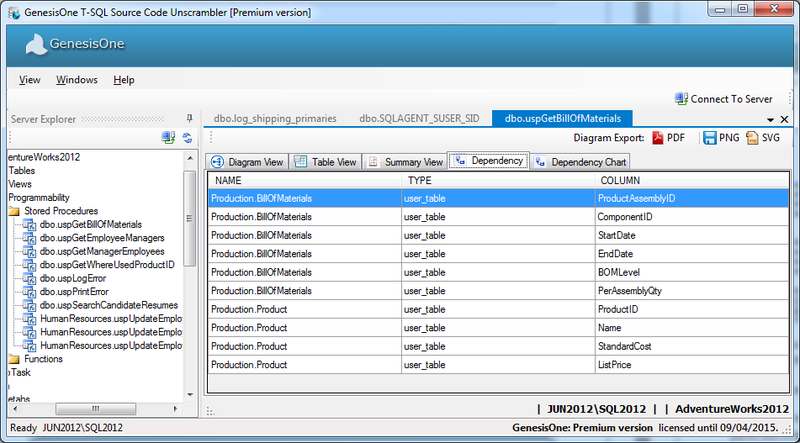 Want to see a list of every feature GenesisOne T-SQL Source Code Unscrambler™ offers? Check out our features page. 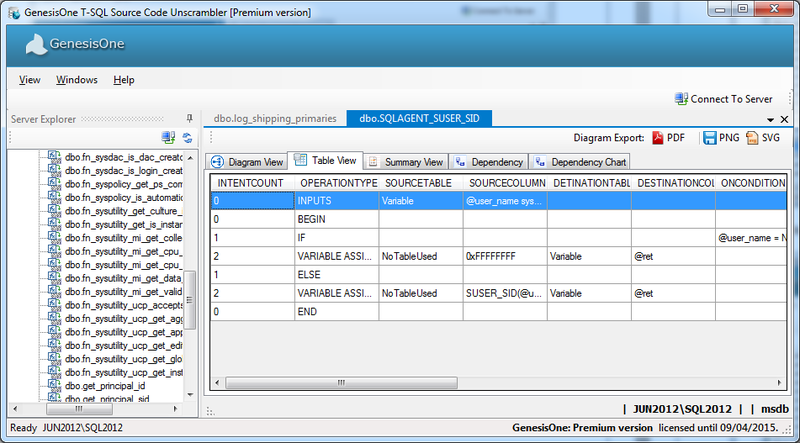 Unscrambler Lite is an Add-in for SSMS, which is a complete tool for viewing the specific Database objects in GenesisOne Diagrammatic view. 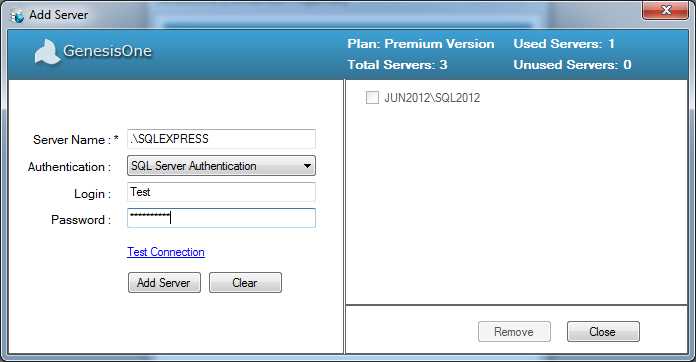 Open the SQL Database on the server. Select any Database Object and right click mouse on it and you can see the additional menu of "GenesisOne". 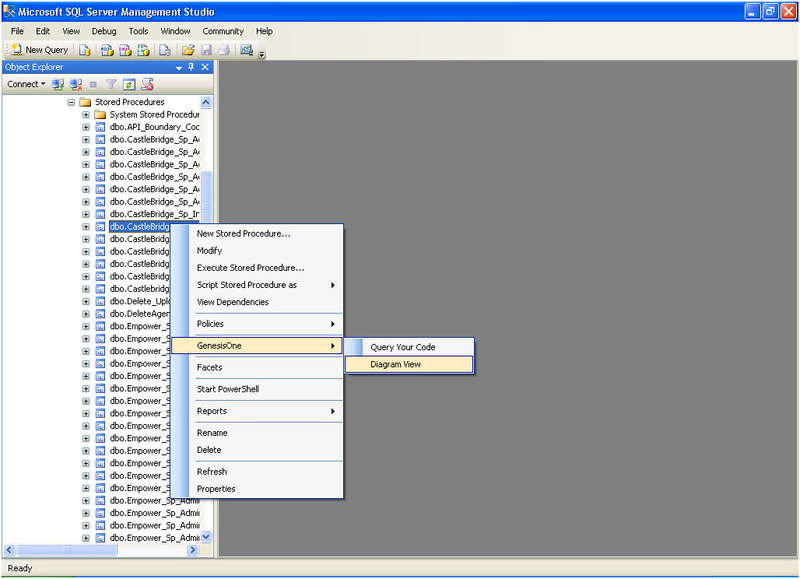 This screen appears after 'Insert' option is selected for any of the table in the target Database and it shows insert query of the selected table with all of its value. This screen appears after selecting 'Update' option from add on menu. 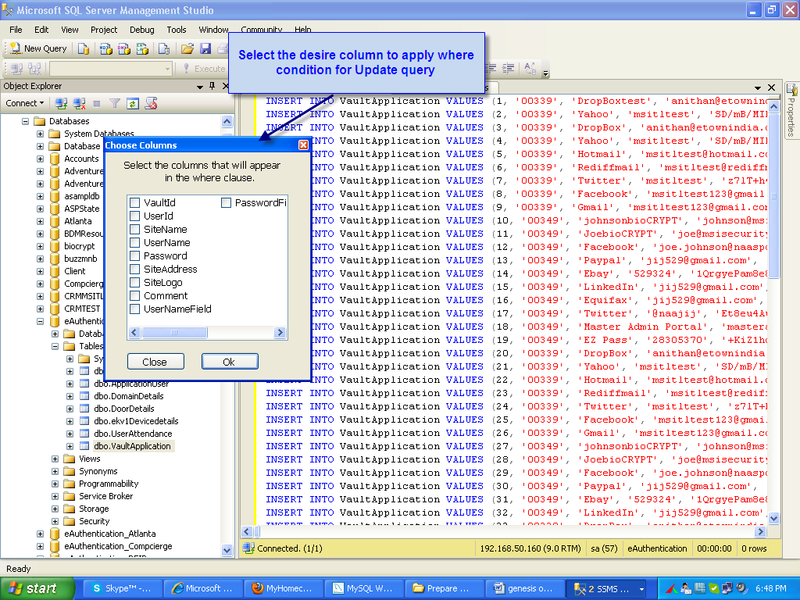 This screen appears after selecting the column from the table to generate the update query.